The Independent National Electoral Commission (INEC) on Friday dismissed an allegation by Peoples Democratic Party that it was hoarding some election materials. The Chief Press Secretary of the INEC Chairman, Mr Rotimi Oyekanmi, said the Commission would never deliberately hoard election materials or engage in any act intended to favour any political party or candidate. Oyekanmi said that in the last one week, INEC had mobilised all national assets to deliver various election materials, day and night, to various parts of the country. “While the Commission has experienced a few challenges in the process, which is normal with the logistical operation of this magnitude, we have largely overcome these challenges. 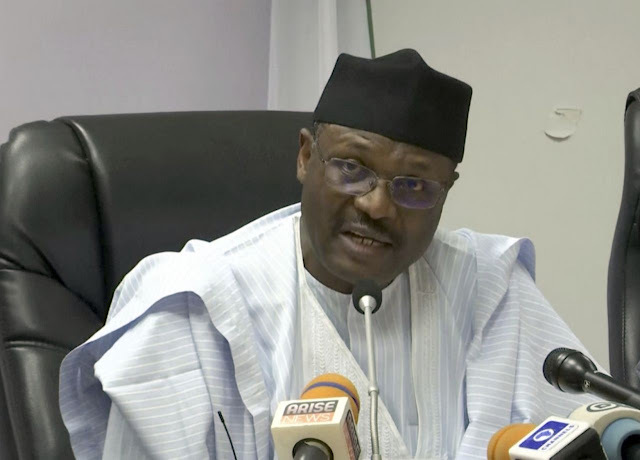 “The Chairman of INEC, (Mahmood) Yakubu, has been briefing the nation daily since last Monday on the progress made. “I think that every well-meaning Nigerian will agree that INEC needs all the support it can get to organise a successful general election starting from tomorrow, Feb. 23. “We want to assure Nigerians who have shown a lot of support and understanding, especially in the last one difficult week, that the Commission will never deliberately hoard election materials or engage in any act intended to favour any political party or candidate,” Oyekanmi said. He urged Nigerian to feel free to vote for any political party or candidate of their choice and assured them that their votes would count. The main opposition party, PDP, accused the Commission of withholding sensitive election materials, including collation (form EC8D) and result (form EC8E) sheets in states considered to be PDP strongholds. The party made the allegation in a statement issued by its National Publicity Secretary, Mr Kola Ologbondiyan, on Friday in Abuja. Ologbondiyan said that intelligence at PDP’s disposal showed that certain compromised INEC officials were working with agents of All Progressives Congress (APC) to hold back the materials to rig results for ÀPC on Sunday in the affected states. “For instance, in Abia state, no collation forms and result sheets have been received for the Senatorial elections, while no result sheets for all the elections have been received in Delta and various other states. “Also in Kano State only 105 Senate result sheets have been received in Garko Local Government Area instead of 144 . ” Rogo LGA has received 106 Senate result sheets instead of 141; Danbatta has received 28 cartons of House of Representatives ballot papers instead of 29, while Tofa LGA has received 18 cartons instead of 19. “This scenario is playing out in many other states,” he said. Ologbondiyan urged the INEC chairman to immediately release the materials to their designated points, saying PDP would never allow anybody to use any means to rig it out in the elections. “Yakubu must note that this serious infraction is already heightening tension and would eventually lead to serious crisis in affected states ahead of the elections, if nothing was done to stem the trend,” he warned.